Check out this catch...All caught within 20 minutes and right in the middle of the day. Guide DP left my house while I was eating lunch and 3 hours later he sent me this picture of a nice stringer of Stripers. Quite an accomplishment. It takes him 30 minutes to get to the lake and get the boat in the water. Then he had to locate bait and catch it. Then he had to locate Stripers and hope they would bite in the middle of the day. 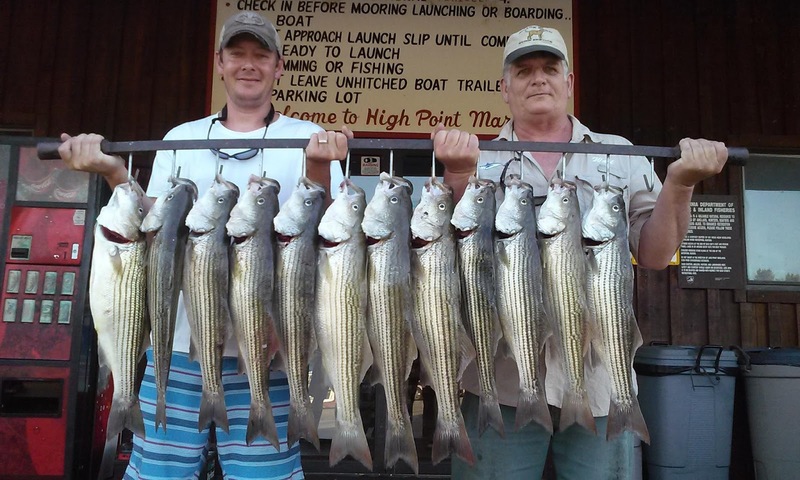 Looks like the Stripers wanted to eat and the guys did a great job catching the fish in such a short time. Sometimes a plan just comes together!